As "I say it all" in my films, I have no need to say more. Nor do I wish to become a public figure. But I have been asked, over and over, here and there, with determination, to have a personal site. Besides, articles, interviews and reports are published, and multiplied on the Internet. Journalists and editors write their own things. The results are often inaccurate. Sometimes this is unimportant and can be amusing, but at other times it is embarrassing. Another problem is that of answering all kinds of requests on my job, my films, my life takes an awful lot of time from my film making. Ultimately, let us have no illusions, in the tumult of the world, we are quickly forgotten. I remind people of my existence to facilitate securing funding and tools for future projects. So, after many years, I am finally publishing my own account on the Web. Apparently I never give it. In the beginning it was the opposite: I was not asked for it! People decided on their own date that fluctuated give or take twenty years. At first I was irritated, but then I grew rather to like this vagueness, and I have adopted it for the time being (and it is some kind of reminder that I am a private person). On my 21st birthday I remember saying to myself: "21! You're finished! And what have you done with your life? Nothing!" Here is some precise information on the subject: I am over 21. Villefranche-sur-Mer, a pretty little town not far from Nice, on a beautiful bay. Infancy in the Nice region. Primary school in Conakry, Guinea. This is the childhood one remembers. It was a happy one. Devoted parents, good brothers and sister, in wonderful surroundings, amongst kindly people. Summer holidays were spent on the French Riviera. I had two worlds at my disposal. In Angers, for me a third world and a different story. Accustomed as I was to year-round sunshine, I disliked the rain and the cold, and coming from a small neighbourhood school, I disliked the huge factory-like high school. I did not do well there, but outside school I had my own artistic and creative activities. - The Ecole Régionale des Beaux-Arts in Angers. After being a mediocre school boy, I became a good all-rounder student. It was a very academic course with a rigid syllabus, but it was here that I learned the most, and here that I began to think that animated films would allow me the scope to draw, to cut, to paste, to tell stories, and to deal with anything that took my fancy. I asked them to create a Department of Animation. It was opened after I left. - The Ecole Nationale Supérieure des Arts Décoratifs in Paris. My good results at the Art School in Angers, together with the generosity of my parents, gave me the opportunity to go to Paris, where I had to choose between the two "Grandes Ecoles": the "Beaux-Arts" or the "Arts-Décos". I opted for the second, being suspicious of the vagueness of "fine art" teaching. But at that time, the Arts-Décos course concentrated largely on interior design which did not interest me. There was too little graphic art and no teaching of animation. Again, I asked for a Department of Animation and again it was opened after I left. In the meantime, I enjoyed having an active life in Paris. I dreamed too of America, that glittering land of success. Moreover, I wanted to learn the art of animation in the land of animation. I managed to earn a scholarship. But my chosen craft was so little known that the American cultural services in Paris were not able to find any animation curriculum in America. I decided upon a college, whose catalogue appealed to me, in Los Angeles of course. - The Art Center College of Design in Los Angeles. Advertising, graphic art, photography. All very efficiently taught; and I liked it all, but animation was missing. I moved to a more specialised school. - The California Institute of the Arts, Los Angeles. It was the last year in the old downtown building. Bad organisation with little teaching and few demands —it was 1968. I learned nothing about animation. I am not complaining, for I experienced America at a landmark in time. Military service in the Army Cinema. I made animated films that could not be shown elsewhere because of military secrecy. My first job was with a small company for which I was to make animated films. Such orders never came and I eventually had to quit. This was the start of a long spell out of work. No animation studios would take me on. I made short films of my own with long gaps between them and conducted workshops for children. The producer Yves Rousset Rouard spotted some of my work that I had entered in a competition. He wanted to set up an animation studio (a long-term project, funded by his worldwide success with the film "Emmanuelle"). He took me on and asked me to make a television adaptation of "Gédéon", an old picture-book series. Totally inexperienced, I set to work on the scenario, model sheets, graphics, storyboards, animation, organization, design of animation stands, direction. The series was completed on time and was a success. But the animators were so difficult to work with that the producer gave up the idea of any further similar projects, and the animation studio, which he had so much wanted to set up, was closed down. Yves Rousset-Rouard went on to produce live action features with much success. Marcelle Ponti and Jacques Rouxel ("the Shadocks") produced several of my short films, and in particular "The Three Inventors", to which I had given my all, wanting to demonstrate what I was capable of. It did not bring any orders, but in London I was awarded a Bafta. Jean-Francois Laguionie, whose work I admire, produced several episodes of a series I had thought up. Called "Cine Si", it used silhouette animation, the most economical of means, since I had such limited resources. This attractive technique, initiated by Lotte Reineger, had been almost forgotten, and I was delighted to use it (“The Shadow Theatre: the Magical Night when anything is possible”). The animated film producer Didier Brunner told me I was wasting my time with television and asked me to write a feature film for him. From the notes and sketches I had made during my periods of unemployment I selected an African story, and within a week the scenario of "Kirikou and the Sorceress" had taken shape. Funding was hard to come by, and the complex production process had to be done in 6 different countries: France, Belgium, Luxembourg, Hungary, Latvia and Senegal. Six years later, in 1998, the film came out. There was no money for publicity, it was sold by the audiences, by word of mouth. It was a historic success that changed not only my life, but also the animated film scene in France. Christophe Rossignon, producer of live action films, allowed me to make another feature film, "Azur & Asmar" (English distributors renamed it "The Princes' Quest", not my choice, I prefer naming the two rival heroes). We used CGI, a technique new to me. I had all the resources to do it well, with a wonderful team. I went on making my own films, revelling in the work, with first-rate crews. Because of public demand I directed two other feature films about Kirikou —something I had not envisaged. One further thing to mention is that I have adapted all my films into picture-book or story-book versions. I have also been involved in the stage productions of "Kirikou and Karaba", directed and choreographed by Wayne McGregor, and of "Princes and Princesses", directed by Legrand Bemba-Debert. I was delighted and privileged to be invited to make a video for Björk, to accompany her song "Earth Intruders". I am first a visual artist. I have always done a lot of drawing. The first art that I really loved, and which I got to know in my first year of high school, was Egyptian art, soon followed by the Greeks. I bypassed the Romans and the Middle Ages, and I loved the delicate art of the Early Italian Renaissance (beautiful works were produced in France too, in the 15th century). Then, the full Italian Renaissance, so rich and sensual (I had little time for the imitations outside Italy). Since then I have been interested in all western art up till the mid 20th Century. My love of fine drawing brings me to the illustrators of the late 19th and early 20th Centuries. It would be misleading to pick out just two or three, so I am attaching a list. I enjoy sharing my “good addresses” of “petits maîtres” whose work is often neglected but so rewarding. I also admire Chinese and Japanese pen-and-ink drawings, Japanese prints. The list is far from complete —I continue to keep my eyes open. It was only as an adult that I realised how much I enjoyed storytelling, but in fact I had been telling stories since childhood. I was always "good at writing" at school, and from the age of eight I used to write stories for my grandmother (one would expect this to be the other way round!). I appreciated reading an anthology of "Tales and Legends" with fine 1930 illustrations. As I grew up I wrote a variety of things —poems, Punch and Judy shows and gentle satires about my family. I enjoyed reading French classics. I enjoyed the wit and elegance of the free-spirited writers of the 18th Century, and the correspondence of famous personalities of the past. After my spell in America I started to read and enjoy English writers. These days I mainly read texts that are relevant to my next project. Since I am working on a film about Paris at the Belle Epoque, The memoirs of Sarah Bernhardt and Louise Michel are great reading and I went into the works of Proust. You can find further details below. Some books I have read or am currently reading for my next film. My next film takes place in Paris, during the Belle Epoque. - François Gauzi · Lautrec et son temps · Publisher: David Perret, Paris, 1954. - Ph. Huisman and M.G. Dortu · Lautrec par Lautrec · Publisher: La Bibliothèque des Arts, Paris, 1964. Amongst my books, I have a beautiful volume on a somewhat forgotten witness of the Belle Epoque: Antonio de la Gandara, the painter. - Xavier Mathieu · Antonio de la Gandara, un témoin de la Belle-Epoque · Publisher: Librairie des Musées, Paris, 2011. - Paris du Temps Perdu · Publisher: Edita S.A., Lausanne, 1985. I also have my own pictures of Paris! - Janine Casevecchie and Gilles Tagat · Paris Art Nouveau · Publisher: Editions du Chêne, Hachette Livre, Paris, 2009. - Michèle Auer · Sarah Bernhardt: la première star du théâtre face aux photographes · Publisher: Ides et Calendes, Neuchâtel, 2000. - Louise Michel · Je vous écris de ma nuit · Publisher: Les Editions de Paris Max Chaleil, 1999. - Roger Blanchard, Roland de Cande · Dieux et Divas de l’Opéra · Publisher: Plon, Paris, 1987. - Anne-Marie Bernard · Le Monde de Proust · Publisher: Editions du Patrimoine, Paris, 1999. This book includes excellent notes (except the dumb foreword that kills the surprises in Proust's work —people should not write forewords, or read them). - L’invention du sauvage, Exhibitions · Musée du Quai Branly · Hors-série Beaux-Arts Magazine, Beaux Arts Editions, numéro de Novembre 2011. - Christian Maurel · L’Exotisme colonial · Publisher: Robert Laffont, Paris, 1980. - Nelly Schmidt · Histoire du métissage · Publisher: de la Martinière, Paris, 2003. - Je sais tout · Encyclopédie Mondiale Illustrée, Année 1905 · Publisher: Pierre Lafitte, Paris, 1905. By the way, I read the adventures of Arsene Lupin, as a serial, in my grandmother's "Je sais tout”collection. He is one of my heroes. - Paris-Parisien (1899) · Publisher: Paul Ollendorff, Paris, 1899. It is a fascinating guide of the day-to-day Paris of that time, shown in great detail, and not without an amused irony towards this Parisian comedy. - Eugène Sue · Les Mystères de Paris · Les veillées littéraires illustrées. Publisher: J. Bry Ainé, 1843. I only read through it briefly. Its sadistic inspiration displeases me and I quickly tired of its heavy prevailing morality, full of divine generosity for the gentle poor and extreme punishments for the nasty villains. - Michel Winock · La Belle Epoque · Publisher: Editions Perrin, Paris, 2012. - Anne-Marie Martin-Fugier · Les salons de la IIIème République · Publisher: Editions Perrin, Paris, 2010. All these books are an inexhaustible treasury, which is difficult to reveal in a 90 mn detective story. The scenario is written, the mountain has brought forth a mouse. Meanwhile, I keep myself informed on a very serious topic, the way women are treated around the world. - Christine Ockrent, Sandrine Treiner · Le livre noir de la condition des femmes · Publisher: XO Editions, Paris, 2006. - Nicholas Kristof & Sheryl Wudunn · Half the sky · Publisher: Poseidon Press, New York, 2009. - Yasmina Khadra · The swallows of Kabul · Publisher: Anchor Books, New York, 2005. - Jean-Louis Debré, Valérie Bochenek · Ces femmes qui ont réveillé la France · Publisher: Fayard, Paris, 2013. I have always loved movies, both animated and live. As a child, going to the cinema was a rare treat ; we had no television, so a moving image on a screen was fascinating (I shall only refer to animation here). As a child I was introduced to animation by a little known Czech puppet animation, "The Toy's Revolt", by Hermina Tirvola. I was also able to see the well-known feature films of Walt Disney, which I loved as well. There was “Dumbo”, “Cinderella”, “Peter Pan” (with a disappointing ending! ), and “Sleeping Beauty”. I was very young when I saw “Pinocchio”, I can only remember a few details, but they delighted me then and they still do. Up till “Sleeping Beauty”, which I consider his finest work, Walt Disney was a great film producer. In his later films he became a great product maker whose work lost its appeal for me (although I admired the techniques!). Then, little by little, I discovered short films made by individuals with personality doing their own original things. I soon became hooked, and seized any opportunity to go and see them —mostly at film festivals. These are the films that give me the greatest pleasure. I have no single favourite, nor even three or four, for the list is long. One of the fundamental joys of the cinema is the huge range of subjects, countries and people involved. Below is a list of short films that I find particularly memorable, although the down-side is that some get overlooked. However, it will be more accurate than simply naming three or four —and it will encourage other people to enjoy them. Many are already familiar favourites, but others deserve to be better known. My list is far from being up-to-date as I no longer have the time to go to film festivals regularly. No-one. That has never been my way of doing things. As a child, I hated being given colouring-books. I was capable of drawing my own pictures to colour in, thank you very much, and I could choose my own colours without following a model! (Besides, the bold colours of the original were nothing like my own crayons, which were much fainter, and that was frustrating... ). So I copied no-one, but was influenced by many. I use all those coloured balls from all places and times (they can be recognized, that's fine with me), but today, the juggler is me. My inspiration comes from my own life, from things I like and dislike —just like everybody else. One way to embark on a new story is to read some of that universal treasure-trove, traditional fairy tales. Whatever the story, whether inspired by an old legend or invented by me, I give it the form of a fairy-tale. This is the language that comes naturally to me. It enables me to do two things: to create something pleasing, beautiful, while at the same time passing on a clear message, without being hampered and weighed down by the obstacles of realism. I have never set out to make films for children. The first film I made independently, "The 3 Inventors", was a film for adults, teaching a hard lesson. However, it has only ever been shown to children, something I had not envisaged. I was simply an author, and a grown-up. 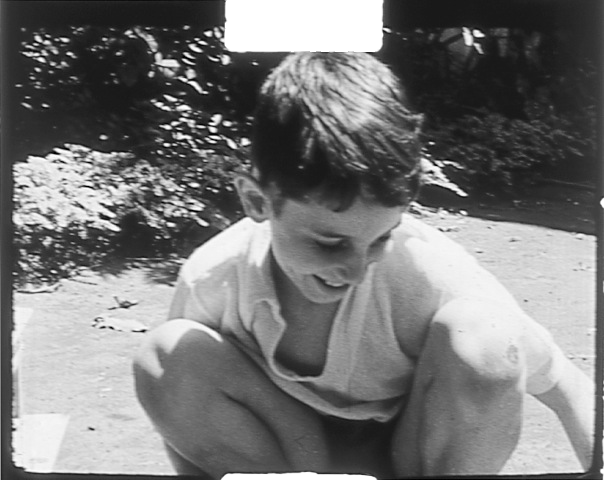 But because I worked in the field of animation, my films were given the label "for children". At first this annoyed me, but now I play on the idea. I regard "children's film" as a genre, like a fugue in music. It is also a Trojan Horse, for the adults will come along with their children, all open-minded and unsuspecting, without their arms and shields, and I can get through to them. My films probably make more of an impact on them than on their children, and they are the ones who go and cry. But children do enjoy my films. Why? Precisely because I am not aiming at them. Nobody likes to be treated like a baby, children no more than adults. However, since I know that there will be children in the audience, I am careful not to say or show anything that could do them harm —but I do touch on all the subjects that I want to bring up nowadays. Children don't need to understand every single word (they are used to that), but on the other hand they need to be showered with information that they will store up for later on. There is no time to lose, just 18 years in which to absorb 5000 years of civilisation! It gives me great satisfaction to bring the different age-groups together. I am gradually moving away from my original idea of producing films strictly for adults: "you'll see what you'll see!" (apart from a few short films). It is a joy to see a family group all watching together, totally engrossed. I have no wish to say to a section of my public: "Hey you, this is not meant for you, go away!" Without wishing to sound pretentious, I think I am like an apple tree bearing apples. The tree can't explain why it does so. Ever since childhood I have always been like that, wanting to amuse myself and others by creating things, making simple contraptions work and giving little gifts. With cinema, immersed in the variety of the world, all is possible, reaching people through the eyes, and the ears —sound is part of happiness, with voices, noises and music. Moreover, passed the solitary conception, film making is a social activity. There are the producers and their crew, the whole film team (the duration of the process allows deeper relations), actors, sound designers, composers, musicians, and the public, that I gladly meet. I enjoy making films to the best of my ability, along with congenial collaborators. I want to give pleasure by creating something beautiful and hopefully do some good at the same time, by sharing of thoughts and observations. I have never set out to make a fortune. Why make piles of money which one cannot use? People have sometimes asked me what I would do if I were hugely rich: I would carry on doing exactly the same as I am doing today.